A magical 1860’s lace and ribbon trimmed evening headdress. 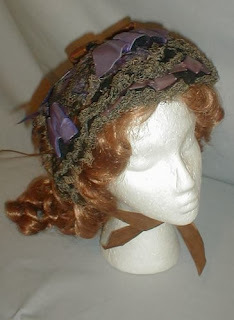 The headdress is made of black net lace with added layers of white lace. 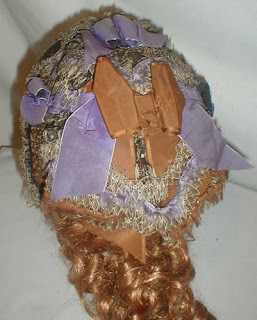 It is lavishly decorated with lavender and brown silk ribbon bows and streamers. The small bands of are decorated with tiny silver bugle beads. 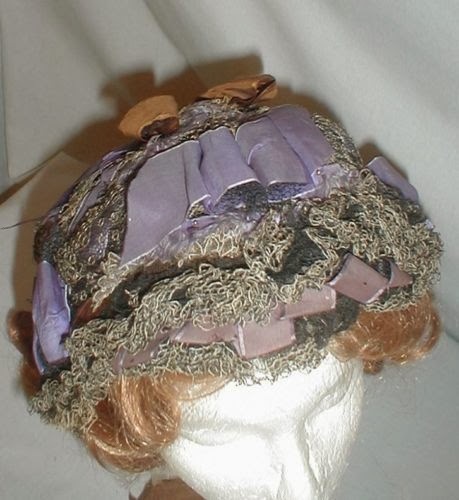 The inside is lined with black and white net lace. 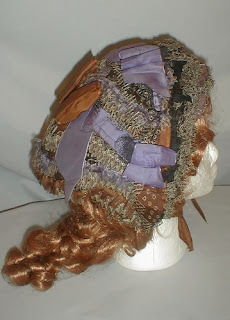 The headdress is in very good condition. 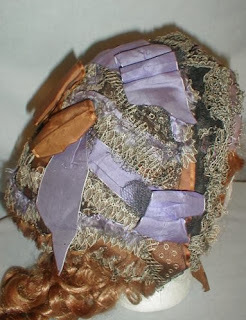 There is some breakage in the white net lace on the inside only. The lace on the outside is in perfect condition. 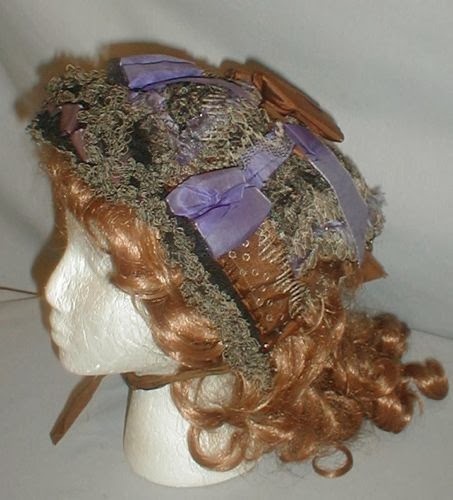 A remarkable headdress from the Anti Bellum time period. First, it's ante not anti. Ante is Latin for "before". Anti is Greek for "against". Although there were a lot of women against the war during the American Civil War, the proper phrase is ante-bellum. Second, ante-bellum is Latin for before the war. The American Civil War started on April 12, 1861. This cap is from the 1860's - ie 1861-1870. It is not from before the war. Yay! I'm glad. :-) I studied Latin in college. It drives me up the wall when I see people confusing antebellum with anything from during the American Civil war. There are two very different time periods.